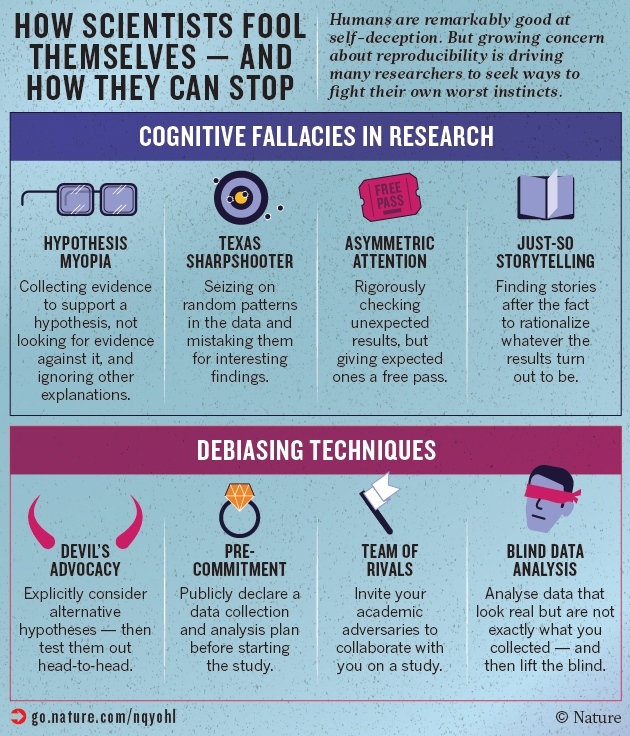 The comment goes through a number of the standard ways people fool themselves, but skirts around the most important one in modern biology: failure to correct for testing multiple hypotheses. They mention “p-hacking” as a problem, but their prescription is just “don’t do it” rather than explaining how one corrects for testing many hypotheses. I think that the comment could have been much stronger if they had gotten some statisticians to provide the real corrective measures needed, rather than just moralizing about how people fool themselves. Today I got an e-mail message for an interesting workshop associated with the European Conference on Computational Biology. I don’t have the funding to go to Basel this year (I didn’t even go to ISMB in Long Beach), but I agree with Alex Bateman and Daniel Mietchen that it is important for scientists to become Wikipedia editors. I’ve done a little Wikipedia editing, though not as much as I feel I should. The effort is only internally rewarding—there are no bonus points in academia for writing and editing Wikipedia articles, though they probably have more influence than regular encyclopedias, textbooks, and research monographs combined. One problem with editing Wikipedia is that it requires fairly frequent visits to undo damage done by ignorant editors, which greatly reduces the internal reward. Having carefully crafted explanations deleted or mangled repeatedly makes one much less willing to put in the effort to do create them. We cordially invite you to follow the tutorial “Editing Wikipedia for scientists” held as pre-conference event to ECCB’12 on 9 September 2012 in Basel, Switzerland. Many people look at Wikipedia as their first port of call for information. Therefore, we believe that it is important for scientists to feel comfortable in editing Wikipedia to ensure it is factually accurate and up to date in their own area of expertise. Alex Bateman, Wellcome Trust Sanger Institute, UK. I recently heard about the Integrated Science course at Princeton University, though they’ve apparently been running it since 2004. The class is rather heavily crosslisted: ISC/CHM/COS/MOL/PHY 231, 232, 233, 234. The class must be somewhat expensive to run, as it involves a dozen top-notch faculty from chemistry, physics, biology (both molecular and evo-eco), and computer science. I’m usually a bit dubious of integrated science classes, as they tend to be an excuse for sacrificing depth for breadth. This course does not seem to have that problem. In fact, it looks more like an honors course, requiring students to come in with strong high school backgrounds in chemistry, physics, and calculus (BC, not just AB). They use computer modeling (both dynamical models and statistical models) extensively, which makes me wonder why they are using Halliday as the physics text, rather than Matter and Interactions—was it just familiarity with the book, or are there some good pedagogical reasons for preferring Halliday in the course? It may be because they actually get a little into quantum mechanics at the end of the year, which Matter and Interactions does not cover well. Somewhat unusually, the course has a heavy component of computational biology (mainly systems biology, it seems, but a little on finding genes and comparing them between yeast and human). Overall, it looks like a pretty intense course for a first-year college class (it counts in total as 4 courses at Princeton, and is supposed to be the equivalent of first-year chem, first-year physics and the first semester computer science). There is a second year integrated science course that covers organic chemistry and biochem. The six courses look to me like excellent preparation for a student going into bioengineering or bioinformatics, though students wanting to do traditional physics or chemistry might be better off with a narrower focus their freshman year. I don’t think UCSC can currently afford to teach honors courses like this one, as much as I would like us to. It is a shame, but it seems like honors courses are the first thing that gets cut when department budgets get squeezed. I can understand why, because relatively few students are affected and honors classes, by their very nature have low student/faculty ratios, so are expensive to run. But the loss of honors classes causes a disproportionate loss of top students to other universities—a problem UCSC administration has worried about for quite some time (our attrition is bimodal, with an unusually high loss of top students as well as the more common loss of students failing out). Unfortunately, the loss of top students never seems to worry the administrators enough to actually create and maintain honors courses. Honors courses get taught occasionally, but they never last long—the administration only ever provides startup funds for such classes, never continuing budgetary allocations. The Princeton course looks like a good model to follow, if we ever had the money to do it. Princeton, of course, has a huge endowment and high tuition, so they can afford to continue expensive courses if they work (they’re in their 8th year of teaching this course). I doubt that UCSC could scrape together the funds to offer such a course even once, though the probably could put together a watered-down large-lecture version of it, if there were any point to doing so.